Help us celebrate the NAC 75thAnniversary by Sponsoring a new member(s) in the next 30 days. We are on a Membership Drive to increase our ranks by 30 new members in the next 30 days starting on January 15, 2019. You can help by encouraging industry colleagues and contacts to join you as a proud member of NAC! -With each new member you recruit, you become their sponsor and get a jump start on the 2019 Krystal La Reese-Gaule Membership Award signifying the most new member sponsorships in the fiscal year. The winner will receive a Free Registration to the 2020 NAC Concession & Hospitality EXPO and an impressive award. 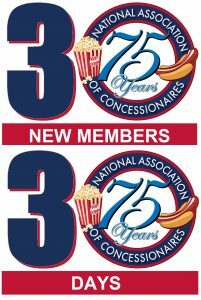 -The start of the year is the best time for New Members as all the benefits for the year like discounts off industry shows like CinemaCon, ShowEast and our own 2019 NAC Concession & Hospitality Expo are on the table. -New member sponsors also receive honorary pins awarded at high profile industry gatherings. 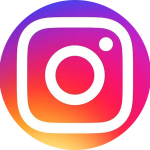 -Receive recognition for each new member through NAC Weekly Enews and official social media outlets. To participate, refer new members on-line at NAConline.org; Call us at 312 236 3658; fax at 312 236 7809 or contact us via mail.